Last night as I settled in to start watching the first of the 13 Classic Movies I will see this year, I browsed through some 90’s movie trailers online. It was a trip down memory lane, as I spent the latter part of that decade working in a movie theater. 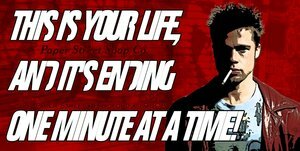 All this morning I’ve had one particular movie running through my brain: Fight Club. 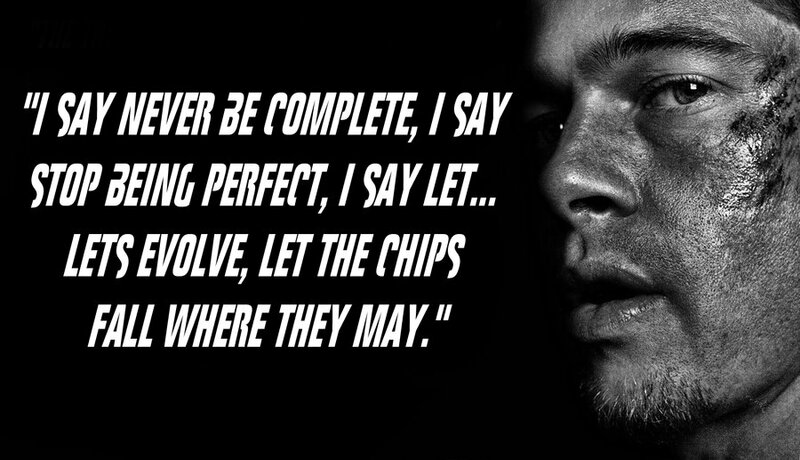 So, in a nod to my incoherent thoughts, here are a few words from Tyler Durden that I thought could help with pushing yourself to succeed in 2013. What are you going to do with every minute remaining? Stop being afraid of change. Your life is waiting for you. By accepting the invitation to change yourself, your brain and body will fight back against your spirit. It is only by overcoming this battle that we will truly begin to know who we really are, who we are meant to be, and where we are going, instead of just coasting aimlessy through life. As always: This is my journal. I hope it inspires you. Make 2013 your year.